* Over 46 years of Martial Arts Experience. Started training at age 10. * 8th Dan in Tae Kwon Do. * Nationally recognized by: United States Tae Kwon Do Olympic Committee. Grandmaster Mirbaghri has traveled three continents to educate himself as well educate others in martial arts . 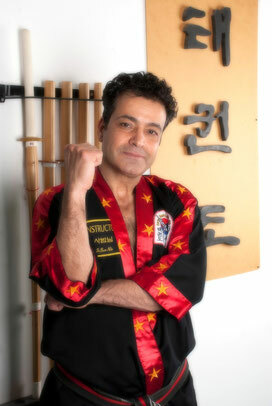 Grandmaster Mirbaghri is a Master of two different martial arts, Kung-Fu and Tae Kwon Do. He has a certified master degree by World Tae Kwon Do Federation. He teaches people to pass their own limitation. He makes the impossible possible for his students . He has trained many black belts in all age groups, men and women alike. He's a trainer of seven Junior Olympic Medalist and a few Nationalist.His is also a life coach and public speaker. Speak English, Farsi, Some Turkish. And love to teach he believes we need to pass on our knowledge to the next generation.